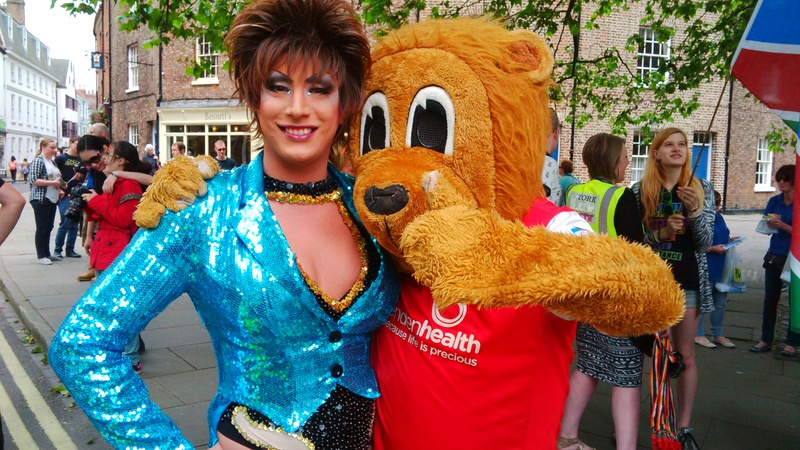 Sophie Hicks, York City Football Club‘s Communications and Community Director, provided a few thoughts on this year’s campaign, as well as current and future work to make homophobia history. We received a great response both locally and nationally to the Club’s support for York Pride and the Football v Homophobia campaign as part of LGBT History Month in 2014. We branded our home match against Southend United last season as our first, annual Football v Homophobia game. This move was fully supported by our Manager, Nigel Worthington and all our players. On the day, we celebrated the diversity of our fan base and had a strong presence from members of the local LGBT community. The message we wanted to clearly communicate was that York City Football Club is for everyone and that we believe homophobia has no place in the game, whether it’s on the terraces or on the pitch. We also continue to be committed to supporting our players, coaches and staff should any of them be gay and feel they want to be more open about their sexuality. We have a firm position that football needs to continue to progress in pace with general society. Already this season we have been proud to support Stonewall’s Rainbow Laces campaign and the team wore the boot laces at our match against Burton Albion earlier this month. We will be announcing further Football v Homophobia activities planned for LGBT History Month 2015 and hope to continue to make our contribution to ensuring football is for everyone. Adrian Lee liked this on Facebook.